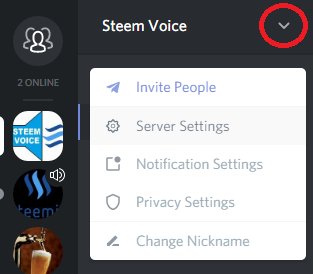 You may have been using Steemit.Chat or SteemSpeak or another program to connect with your steemit comrades, but if you’ve been living under a rock you might not have realised that Discord is fast becoming the new club in town. As a moderator of The Steemit Bar on steemit.chat, I can say that I have never had to play bouncer in that chatroom because everybody is there to be friendly and catch up. Just like you would at your local bar! @the-ego-is-you has been a fantastic host by keeping everybody in great humour and the party going almost 24/7, 7 days a week. But Ego and I hoped and saw potential for this virtual bar to be something bigger... 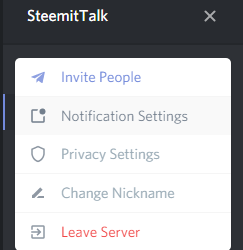 Some of our guests host their podcast "SteemitTalk" on Discord and as we visited their server to listen we were intrigued by the functionality of the platform. We started thinking that it was time for The Steemit Bar to branch out! 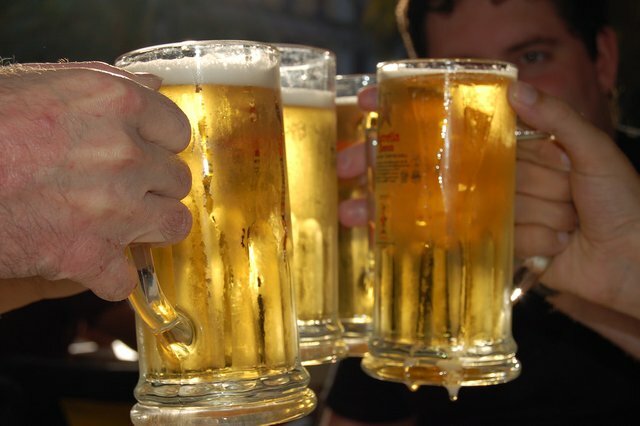 The Steem Pub is now open!! In comparison to rocket.chat, Discord has a wealth of controls at your disposal. You can block particular users or better yet all users from messaging you, block all friend requests, switch on/off notifications, you can even create your own emoji’s!!! Not to mention the Voice Channels that we don’t get at Rocket.Chat! 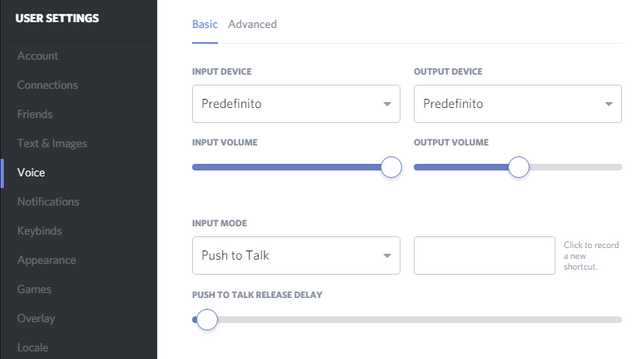 At Discord you can choose to converse by text or by using your voice! Now we know you’re not a robot ;) And the mobile app runs smoothly which means you can carry your steemit chats around with you on the go! I don’t know about you but I am most excited about making emoji’s!! First of all, if you haven’t already, register an account on Discord here. All you need to create an account is an email address. Once logged in, you can always just use your browser but you also have the option to add the app onto your computer and mobile device. I promise you will not be disappointed by this mobile app! Once registered, come back and use the link below to come visit us at the new diggs! The only disadvantage to not having the app, is you won’t get notifications when the browser isn’t open. No problem! 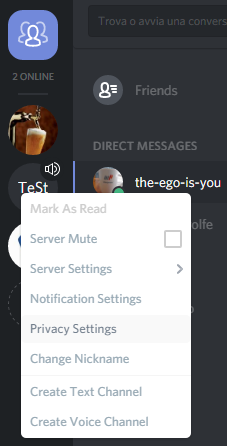 To control what you get notifications about, go to Server Settings (the little arrow) in the top left corner and click into Notification Settings. 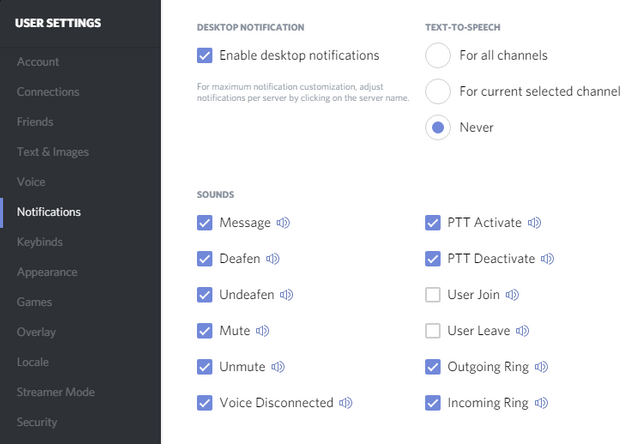 Hate the sound of users joining and leaving the Voice Channel? If notification sounds get on your nerves then you won’t want to hear the sound of users joining and leaving the Voice Channel. Let’s switch off that needless noise. Then into the Notifications tab where you can switch off any sounds you don’t want to hear. 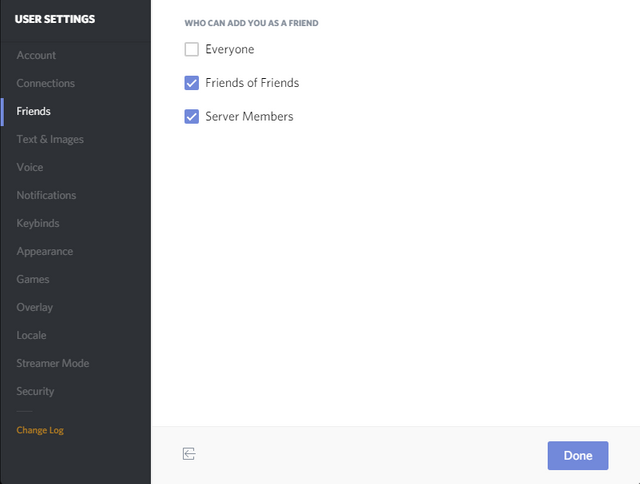 If you really don’t want to receive a bunch of friend requests you can control these settings from the same User Settings by switching to the Friends tab. Want to change the Screen Colour? In the User Settings you can also go to the Appearance tab to change the way the app fits on your screen. The choice of boxes on the top are the screen colour choices. How do I know if my Mic is on? Too popular for direct messaging? By default, anybody can send you a Direct Message privately. 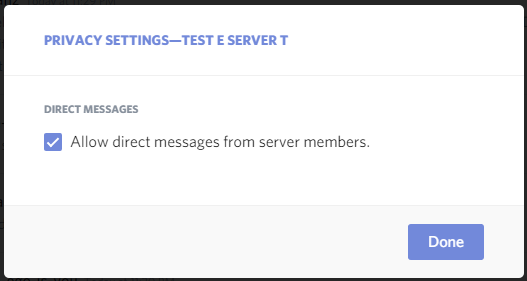 To only receive messages from friends you can right click on the server button and go to Privacy settings. Note: you may have to do this on all servers to avoid users from mutual servers. Note: when you add a user as a friend they can DM and call you through the app. 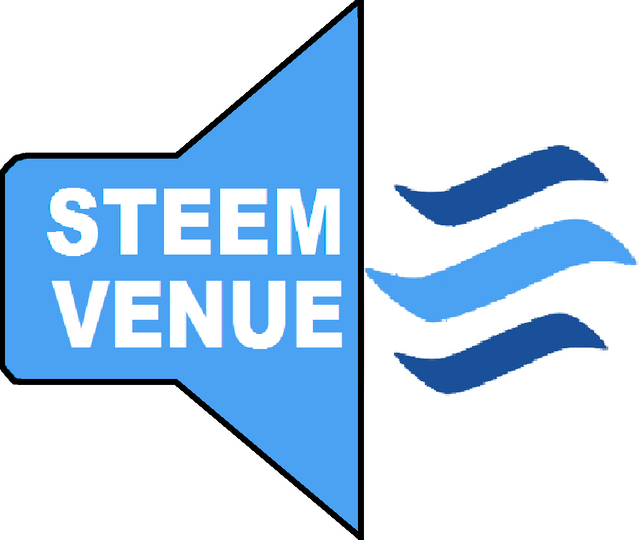 Along side the new and excited Steem Pub, we are also introducing The Steem Venue! This is a server where anybody can make their own channels as long as they are a member. I plan on giving membership away like free hugs! Just come and get it! Once you're a member, you will have the power not only to create your own channels but you can also give away free hugs giving anybody you want the same magic powers as you. Applications for moderators welcome! Moderators can kick, ban, mute or deafen other users. They also have the power to assign moderating powers to other users! 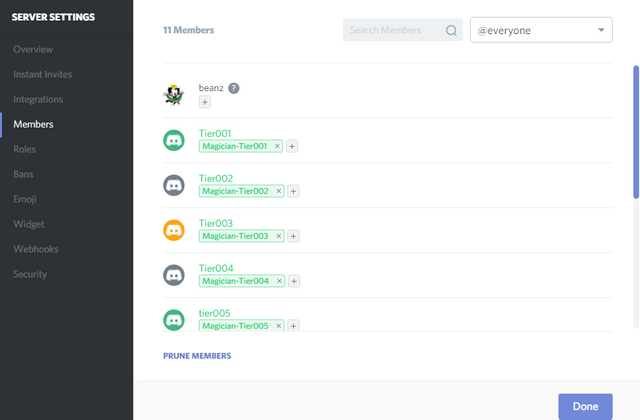 Now that you know how to control your Discord account, let’s look at how to use this particular server to chat to your friends, create your own channels and turn your friends into members! When you first arrive on the site you will see a list of channels to your left and a list of users on your right. You can be on 2 channels at once. You can be on a text channel at the same time as any voice channel, even if they are on two different servers! To enter a channel, simply click on the name. Note: if you have an issue with the voice channel, try disconnecting and clicking the name to reconnect. Once you can hear people speaking you may find that some people have a higher volume than others. You can identify the user that’s speaking by the green circle around their name. Right clicking on their name gives you the option to adjust the volume or even mute a user you don’t want to hear. If you want to be able to create your own channels, you can check the list of users on the right and consider who would be willing to give you a hug! The users whose username is green have the power to give you membership. To pass on the magic love you can go to server settings. Then go to the Members tab and search for the user you would like to add to the club. Simply click on the plus symbol next to the name to add a role one tier above your own. If you switch to the Roles tab you can also create a role for your own friends, which would come in handy if you want only your friends to see your channel. Note: Other members can add this role, so if you want the channel to be private try adding the channel permissions to individual members, not roles. Making a new channel is easy. On the left hand side where the channels are simply click on the plus symbol next to “TEXT CHANNELS” or “VOICE CHANNELS”. Here you can choose who can enter your channel and if you have created your own Role for your group of friends you can make your channel exclusive to you and that Role group. To prevent other users using the role you made, go to Edit Channel to add the permissions to each individual member of the group, then delete the role. EDIT: The issue I had previously with this post has been resolved. Thank you to the author for editing the post slightly to reduce the possibility of people being misled. I wish her and all community members the best with the Steemit Bar in its new home. "an unauthorized takeover of the official Steemit chat platform." Wow, that is completely out of line and not evidenced. I am on both and have seen absolutely no such thing transpiring. 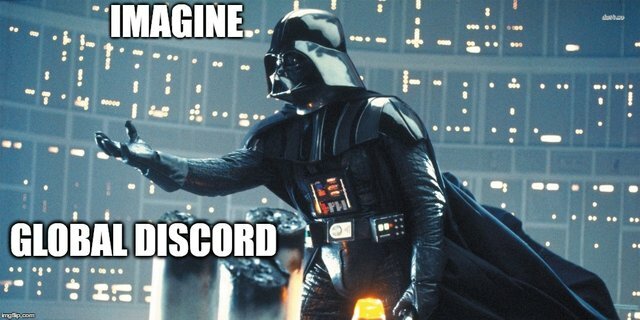 What I have seen is the already existing Steemspeak user base migrated from a Teamspeak server to a Discord channel because they were impressed with the features and speed. They did tell their friends about the improved service on rocket chat and invited them over but it's not like it's being spammed or sharing that type of info is out of line. Voice chat has always been the heart of Steemspeak it offers a completely different experience from text based chat. There is no reason these two places can't exist in harmony. Most users are present on both. Smooth, I generally respect and agree with your opinions and often find the best answers to my questions come from you on Rocket chat but there is nothing misleading about this post. The title and content are not divorced from each other and nothing should be changed by the looming threat of a whale flag. PS: If you have evidence of an organized "takeover" attempt I would love to see it. I'm just not seeing it. There's no issue with using both. I encourage it and have never been anything but supportive of steemspeak even though I haven't joined it (I did listen to ned on there though). The phrase "Everyone is migrating" and the fact that a particular channel is moving is hidden below the image has (likely unintentionally) misled people. It's all fixed. Nicely done everyone. lolz!! Are you serious, that's hilarious!! yeah - can you believe it? With TWO of his accounts he flagged her! LOL. You know perfectly well that the two accounts are programmed to always vote together. Yes (smooth), I don't see this as smooth using two different accounts to give us a good smackaround. There was an honest case of ambiguity and I think we all managed to deal with it as adults. It is perceived that way by a number of people, who commented to me about this particular post which was the only reason I'm here at all (I didn't see the post myself). I've never heard of the steemit bar channel before nor has anyone discussed it with me, so if it were clear this post is about moving the bar channel, I'd never know about it. What I have seen personally is people proposing such a migration on steemit.chat channels. The perception or the suggestion may be incorrect or not reflect the views or intent of the organizers, but it still exists. They did tell their friends about the improved service on rocket chat and invited them over but it's not like it's being spammed or sharing that type of info is out of line. This is specifically incorrect. It has been perceived as spam (again, even if not intended) and complaints have been made to the moderators. I believe at least one person was asked by moderators to stop. "people proposing such a migration on steemit.chat channels"
I haven't seen that but I'll take your word for it. To me both of these platforms are merely stepping stones until Steemit is able to offer these features themselves. I see no issue with advertising either here in a post and it is certainly nothing flag worthy. Your flags go a long way and get noticed. I only learned of this post because you flagged it. You might want to consider the Streisand effect when you flag in the future. I have no problem with this post getting more visibility, as long as people aren't being misled as they clearly were earlier (in bringing it to my attention). I'm all for promoting social channels in the wider Steem ecosystem as it sounds like the Steemit bar is, as well as Steemspeak. Believe me I'm well aware of the Streisand effect and there have been unambiguously abusive posts that I watched instead of flagging to make sure they simply stayed unnoticed by almost everyone. To me both of these platforms are merely stepping stones until Steemit is able to offer these features themselves. Agree mostly. Real time chat may never be on the blockchain, and steemit.chat using the rocketchat software (bad as it is) is the official platform for now. Hopefully that will change to something better. Dude - even @ned and @blocktrades are at Discord. You are welcome too @smooth but you must have a much better attitude then your normal "easily offended" attitude if you gonna hang with the community on discord. https://discord.gg/dhnEx - Don´t attack this woman's Steemit Bar please. LOL, I have nothing against the bar. I'm sure the bar is great, and I may very well join your Discord server too. I do, however, think that your retaliatory flag on my comment was inappropriate. There was nothing abusive or harmful about the comment. Would it be better if I just flagged and did not comment? First drink is on the house @smooth :) Looking forward to see you there, and to have you on the Radio one of these days. I've edited out the heading. If there is another issue and I haven't edited enough, please let me know soon. Thank you! It looks more clear to me now without the heading, so I am removing the flag. Sorry for the (temporary) disagreement. I wish you the best for your Steemit Bar channel at the new home! In fact, I have now upvoted. I'm a little confused about this. Is the title an issue? Or is it just this paragraph? I'm just having trouble understanding what is misleading. What exactly should be changed..? If I change "everybody is" to "people are"? Can you please clarify the issue so that I can change whatever needs to change? Please make it clear that your channel is moving, not "everybody" ("Some people" would be fine, but is pretty bad writing). I think just stating clearly that the steemit bar channel is moving is quite clear. Are you saying that it's not ok for us to choose our own platform....? The truth is people are moving away from rocket.chat.... Doesn't the market decide? Of course is perfectly okay to choose your own platform, I even encourage it. But suggesting that everyone is migrating is untrue. Perhaps complicated by the fact that "migrating" has a particular technical meaning when it comes to service platforms, one which you may or may not be aware of. I think it would perhaps have been better to say that "a lot of users are migrating". I don't see any untruth or source for future confusion in that, right? Things happened in a hurry and we made some mistakes. We'll try to learn from them. "I'm planning on removing the flag"
Smooth, you said you would remove your flag but you haven't yet. Please remove the flag and stay true to your word. Whale flags on perfectly fine content like this are one of the big reasons we have people fleeing. These types of flags hurt anyone hold any Steem. If people are feeling because they have been misled about how content may be flagged on this platform, then I would suggest better education. If they are fleeing because this is a platform where stakeholders have a say over how rewards and visibility is awarded, then they are just in in the wrong place. As I said I'm planning to remove the flag. I'm hoping the misleading content can be made less misleading. It has been edited out. The post no longer says "migrating" or anything about how many users are moving from steemit.chat to discord. The image has also been moved lower which I don't like. But it's done. Now that I know how this feels I understand why our userbase has dropped. Replied elsewhere. The flag was removed. Already there and like it much better. Thanks for this tutorial. It's great. There's no question Discord is a lot more stable and flexible than Rocket Chat ever was. I'm very happy to make the transition. I really like the sound of this and will definitely give this a go tomorrow! Thanks for the heads up. One basic question I'm not clear on is simply why people should Discord. I mean, like that spiel they use on airlines "we recognize that you have plenty of choices for your travel, so we appreciate you flying with us.." Bottom-line: with all the social media and messaging out there - pm in Facebook, Slack, etc what makes Discord worth our time in learning yet another platform? Well I am not in any way affiliated with the company behind discord so there are no specific benefits to me to sell discord the server to you. It is just a recommendation i make based on what I have found to be beneficial to me. And so to make that more clear, I would say that (and I believe I speak for a lot of discord users) once you get used to the smooth functionality and the many customising settings to suit your personal needs it is really hard and a headache in fact to return to a platform that really isn't up to the same standard. I can add friends, use my voice to talk to these friends for the purpose of collaboration or otherwise. 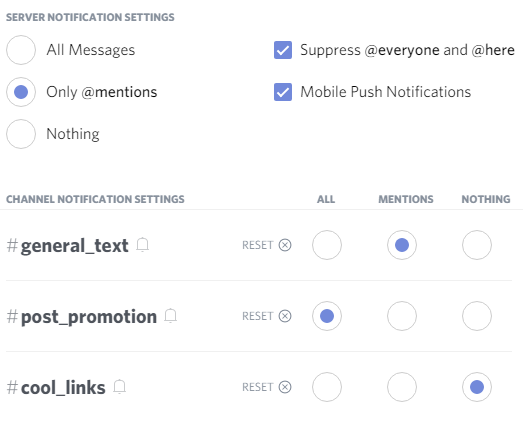 I can block notifications or prioritise notifications from specific channels that matter to me more. I can make my own channel and make it visible or accessible to specific users and then choose my own moderators for that channel. And I've created a server where you can create your own channels where you choose who runs it and who sees it and who moderates it etc. Personally I've just found the possibilities and the functionality to be far too good to bother with a less functional platform. I do understand though that when a car was just designed to do the bare minimum they were far simpler and nowadays they're so complex it can be a headache - same goes for lots of technology such as phones for example, the old brick-like ones that never broke in comparison to our smart phones that seem to have a self destruct timer programmed into them. Because discord is more complicated it isn't really user friendly when you start off. I'm going to continue to try to make that easier for people. Whether you choose to give it a try is up to you. Thanks to taking the time to write a thoughtful answer, @beanz - you bring up some really good points. Somewhere there must be a "complexity vs. functionality" graph, where Apple products tend to find a sweet spot for maximizing capability with simplicity. But along with that is the decision, as you point out, of weighing benefit vs. effort. I guess like many things sometimes it's hard to see "why" so we're less willing to deal with a painful looking "how." Sometimes what helps is finding people we enjoy being around, as we get over the learning hump.